Read a recent article on the world’s tiniest ‘premies,’ including twins born in 2004, at Yahoo News. 2004 photo: Rumaisa Rahman resting in her crib at Loyola University Medical Center three weeks after her birth in Maywood, Illinois. 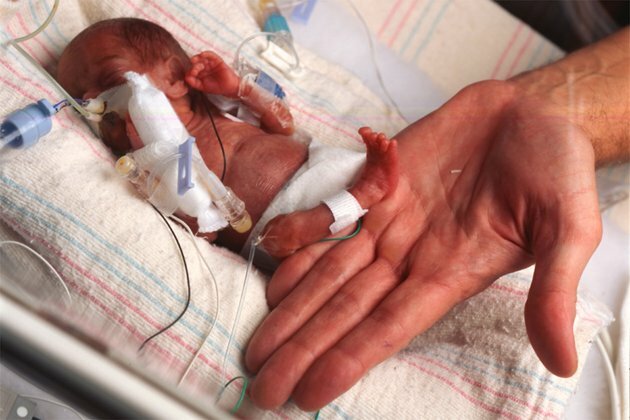 Rumaisa, born September 19, 2004 at 8.6 ounces, is the smallest known surviving baby. Hiba, her fraternal twin sister, weighed 1 pound, 4 ounces.